Andrea has 14 years of experience in the field of fitness with 7.5 years as a National Figure Competitor (NPC, INBF, OCB) and 3 years as an NPC National Qualifier. 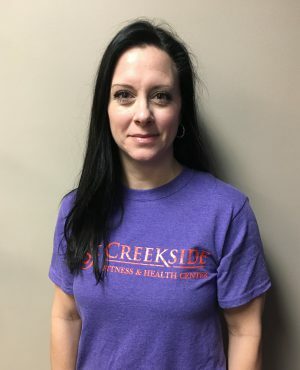 She is NPTA Certified in Personal Training, Strength Conditioning, Nutrition & Wellness, and CPR. Additionally, she is Jump Stretch Certified. Andrea has knowledge of creating diet plans for a healthy lifestyle and long term weight loss as well as for competition. She has been married to her husband Clark for 22 years. They have four children.